Rising numbers of roadworks are turning the UK's roads into pits of misery and causing delays to a third of all road journeys. Roadworks are up 20% upon 2014's numbers and the resulting traffic congestion appears to be getting us all down. British drivers also consider that the condition of their roads is getting worse, despite an increase in local authority spending on the roads network. Insurer, LV, issued a Freedom of Information request which returned data showing that British motorists are currently meeting roadworks on 33% of all car journeys. 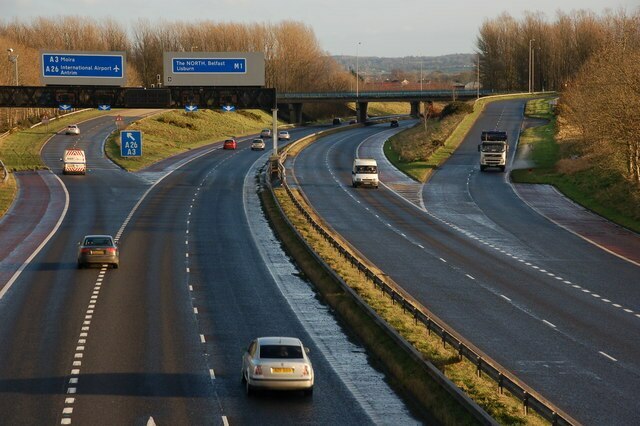 Research by the same company involving a survey of British motorists, named the M1 motorway as the most annoying road in the UK for roadworks issues. The M1 appears to be one long, continuous roadwork project, with an improvement scheme, beginning on October 2013 at junction 10a, yet to be completed. The M6 and M25 took second and third places in the ignominious list of Britain's most annoying motorways, followed by the M5, M4, M62, M3, M60, M40 and M8. LV's Freedom of Information request was responded to by 91 out of 434 local authorities, and revealed that the largest amount of outstanding roadworks projects by any local authority was 837 in Argyll and Bute, Scotland. This was followed by 734 in Gloucester and 656 in Rotherham Metropolitan Borough. LV's research estimated that there are nearly 25,000 uncompleted roadworks projects currently underway in the UK, covering more than 2,000 miles of road. Motorists have also complained about being restricted to 50mph for long distances on British motorways, ostensibly due to roadworks which then don't appear to be in existence. Over half of British motorists have experienced diversions to their routes as a result of roadworks, adding on average, four miles to the journey and in some cases up to 10 miles. According to experts, not only are roadworks irritating to motorists, they can result in car damage, such as overheating, knocks and scrapes with other cars and shortening the life of brake pads. LV admitted that local authorities are unable to embark on roads improvement schemes without causing some traffic delays, but this sees motorists potentially damaging their engines, by leaving them running for a long time while stationary. A spokesman for the insurance company recommended that drivers stuck in traffic for more than a minute turn their engines off, rather than leave them idling, to avoid overheating or other engine damage.